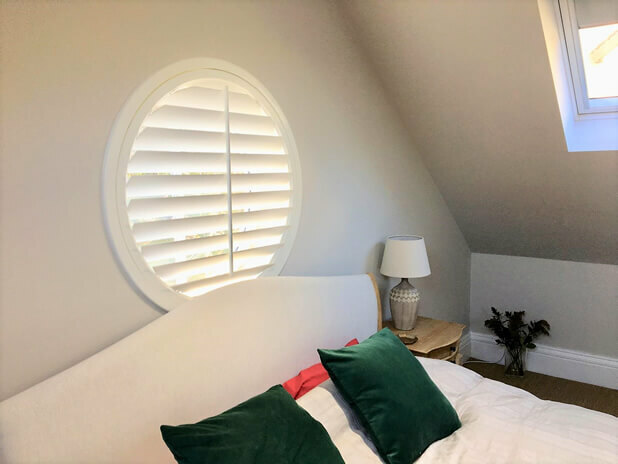 Tom was in Aylesford in the district of Tonbridge and Malling to install some special shape shutters to a beautiful circular window of a bedroom located in a garage loft conversion! 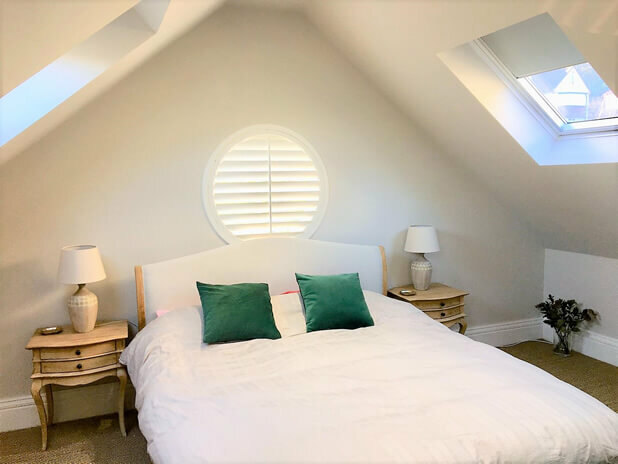 The window directly behind the bed was the perfect opportunity for us to demonstrate how great our special shape shutters can look, with the window also being very hard to neatly dress with any other window dressing. 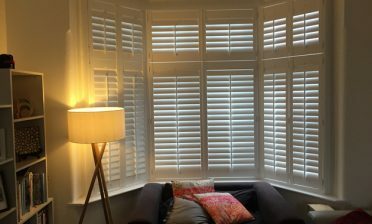 Bespoke designed from our range of Fiji hardwood, the shutters were created in pure white (but available in a whopping 26 colours) and as you can see fit the area perfectly with millimetre accuracy. 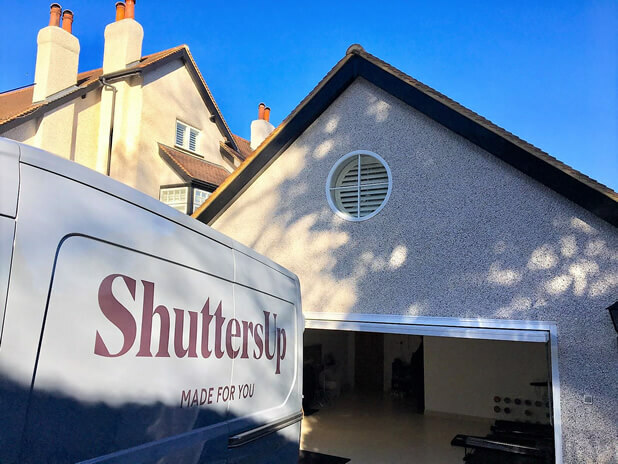 The shutters can be adjusted up and down as if they were in a regular pane of shutters, with a centralised tilt rod for a classic look and ease of adjustment. 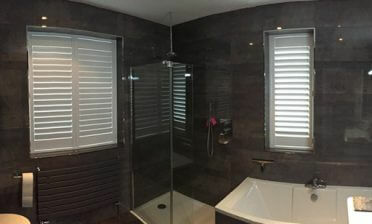 The shutters feature thick 89mm louvres for gaining the best out of not only natural light but privacy in the bedroom. We used beaded styles and a standard full height row of louvres crafted into the circular shape for the ultimate look and functionality! 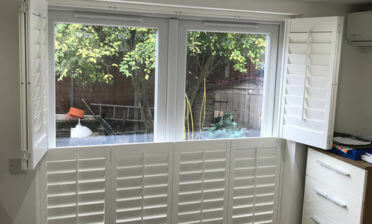 As you can see they look great from inside and outside of the window, a great look which is also very practical for the homeowner and can be used and enjoyed for years to come.